Veronica Zammitto started as a Masters student int he iVizLab. Now she is a Game User Researcher at Electronic Arts, Canada. She’s currently working on EA Sports titles using psychophysiological methods to identify the emotional profile of players, cognitive attention by employing eye tracking technique, and in-game behavior through telemetry data. Veronica is also working towards her PhD at School of Interactive Arts and Technology, Simon Fraser University. Her background is rooted in psychology and game studies which ideally positions her to understand emotional, cognitive, personality and social aspects of gamers and gameplay. 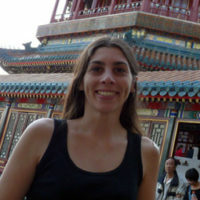 Her research focuses on design and implementation of game user-experience techniques, gamer demographics and preferences, and believable characters.